Spring is here, or is it? We had snow on the first day of spring and the past few days have been cold as temperatures hovered in the near 20s and 30s. I'm still wearing thick jackets and mittens to work. I've had it and I am so ready to shed these winter garments. I am sick of winter. 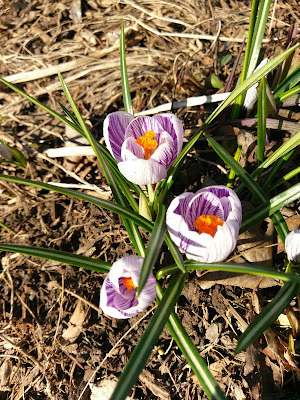 On the brighter side, I've been seeing signs of spring pop here and there. In my neighborhood, it's the Crocus that I've seen first to bloom. They come in different colors and they're very pretty. This is my favorite - purple striped. In addition to the Crocuses or Croci, the Cherry Blossoms and Magnolias are now reaching their peak bloom. The photo above was taken during our visit to the National Arboretum. 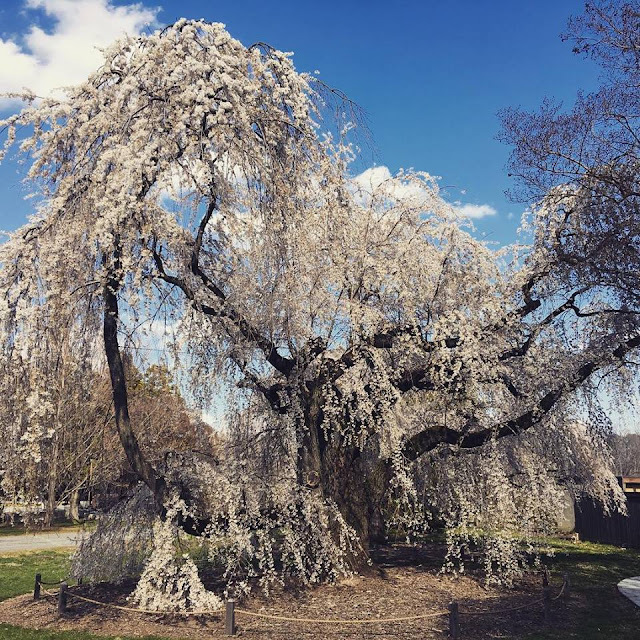 This tree is a sight to see - really beautiful with flowing clusters of white flowers. 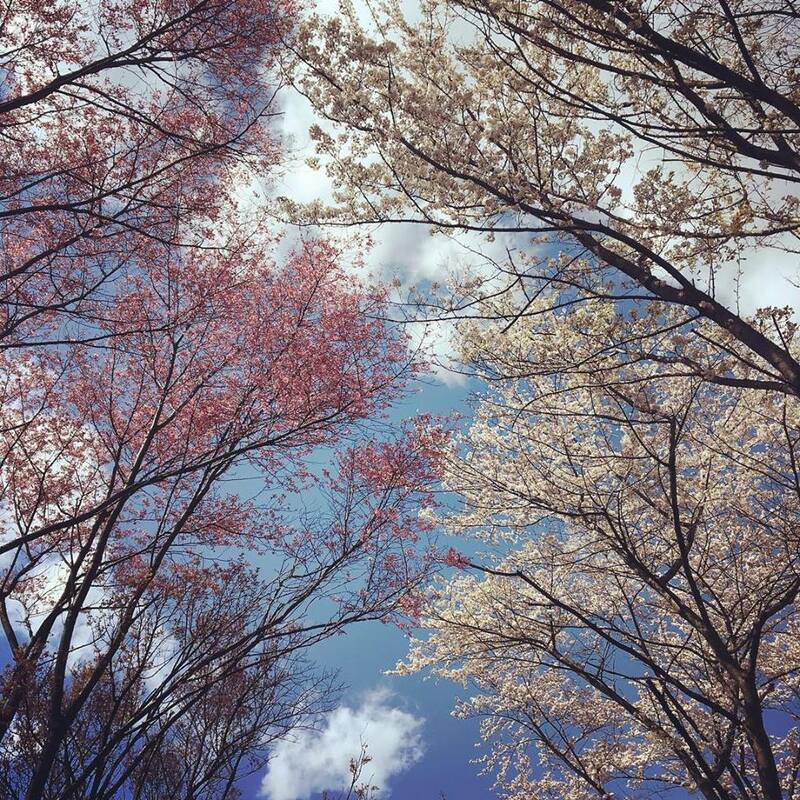 The sky becomes a canvass for these beautiful blooms. Just a short excuse and recap of my absence in the blogging world. The months of February and March came and went like a mist. I even barely remember what I've accomplished or what I've done. Most days at work, I was running around like a chicken without a head. The load of work has been too much and I've been running on fumes. We were preparing for a big exhibit - the biggest event for the company for this year. The preparation actually started in December 2017 but the culmination of events took form in the first three months of the year. There were 11 committees involved, and my committee prepared for seven panels with four to six speakers each. This is in addition to my very own project as board book appointee. I was in so much anguish, stress and pain and I was not sleeping. The event finally took place in March in Florida with close to 1,500 attendees. During the event, I was working 12-hour shifts for straight four days. Yes, the event was great, I traveled on company money, and the experience will look great on my resume. However, it was too much stress and too energy draining. I'm just glad it is over, and I am slowly recovering. Because right after the exhibit, I got very sick and lost four days of work. I am hoping that as my work schedule normalizes, I can blog regularly again. I will be posting more photos from our visit to the National Arboretum. I hope we have seen the end of winter. Beautiful cherry tree. I just checked the weather and it seems it will warm up a bit the next few days. Yes, it's a beautiful tree. Thank you. You always have beautiful shots too. 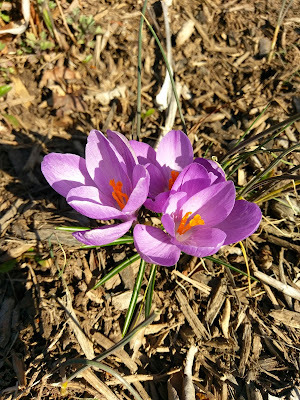 I hope you see more signs of spring. Take it easy. Sometimes we all work too much and I always wonder whether it is worth it. I agree. I think the nature of my current job is quite different of what I'm used to. This company is quite ran a different way. Not sure I can last. The National Arboretum was a beautiful place to go, a little heaven tucked away near D.C. We did a lot of walking and the dog had a great time. Yes, it is. I'd love to go back there again and just walk around. A great find. Thank you. Yes, I am hoping I can plan out my schedule better. I need to set a time to just write. I've been missing it.